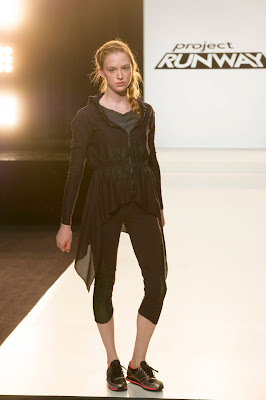 On this week's Lifetime Network's Season 12 "Project Runway", it was all about working out--or rather Activewear. The Challenge was to design a look for Heidi Klum's New Balance activewear clothing line. 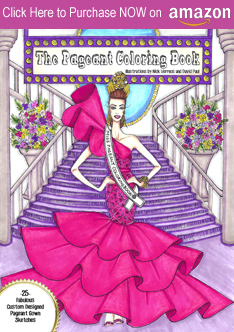 The winning design was to be manufactured and sold as part of Heidi's line at selected New Balance stores and NewBalance.com. 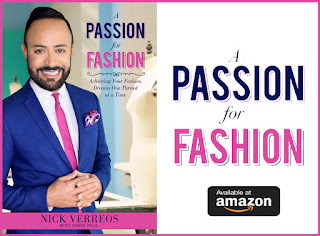 Some people liken this challenge to "Sweatshop Labor" (the designers get to create a look "for free" for Heidi's line and they don't make a dime off of any garment sold). It is that, yes, but also gives "bragging rights" to the winning designer since they can tell their grandma back in Lord Knows Where, that one of their designs is being sold all over the Country. Note to the winner: make sure to go online and buy your own design before you don't have an actual sample of what you did. 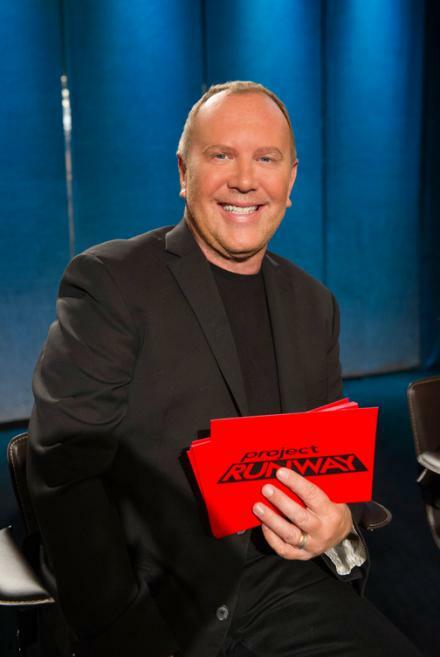 Very Special Guest Judge: Michael Kors was back for this episode and his comedy writers had some FAB zingers! Alexander Pope (left) and Bradon McDonald (right): These two looks were good--there was enough "fashion" and the correct amount of athletic-wear to them. 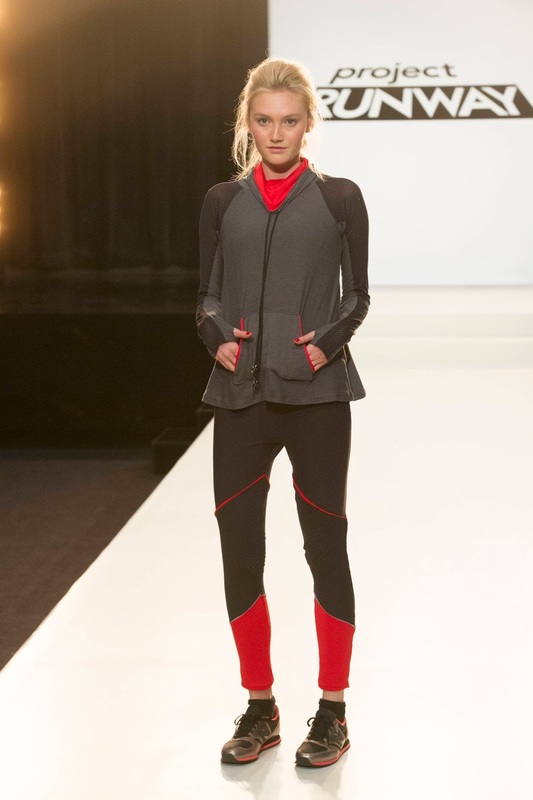 The whole color-blocking look is BIG for activewear designs and these two (safe) designers ran with it (see, an "athletic" term!). Miss Drag Queen high-arched eyebrows Alexander did leggings without side seams which was correct--as well as pattern impressive. Dom Streater (left) and Justin LeBlanc (right): Of these two, Justin's was better. Dom's look was OK but for some reason, the outfit--and especially the placement of the red piping, made the model's thighs and hips look really wide (I am sure they are not!). Justin's running shorts and asymmetrically-zipped vest look was a good design. Me Likey. Kate Pankoke (left) and Helen Castillo (right): These two were deemed the best and I agreed. Helen's won. Judge Nina Garcia put in a (supposed) order right on the spot. Alexandria Von Bromssen: No. Absolutely not. Drop-crotch "Poopy Pants" to work out in? Never. And I'm not even going to discuss the metal separating zipper and how it's stretched out in the front due to wonky sewing. I have Four Words: Tim. Gunn. In. Shorts. I thought I would never see the day. Thank you "Project Runway." This week's episode began with our dear style mentor waking the remaining designers up at their Refinery Hotel digs, in full referee Uniform ensemble, including the black-and-white shirt, shorts (Oh Dear!) and even sneakers. Yes, Tim Gunn in shorts AND sneakers! Heaven. When he was waking the designers up--going from room to room--I also had another thought as the camera cut to Karen: I forgot she was still on the show! (Is that bad of me?) 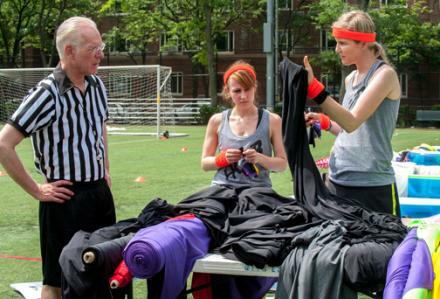 After the designers changed into athletic/workout outfits from Heidi Klum's New Balance line, they all re-connected with Referee Tim--as well as Heidi--for a little Field Day. Tim and Heidi explained that there were five identical obstacle courses with four stations (a three-legged race, tire run, wheel barrel and flag grab) which the designers had to take part in. 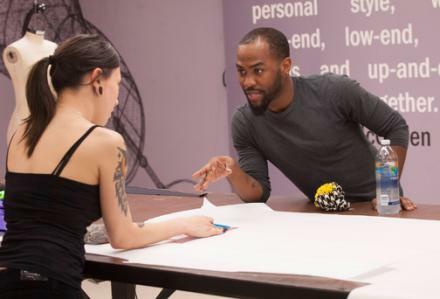 The designers would be put into five teams of two for this mini Project Runway Boot Camp. Click HERE to read the rest of my RECAP! And don't forget to let me know what YOU thought in the "Comments" section! 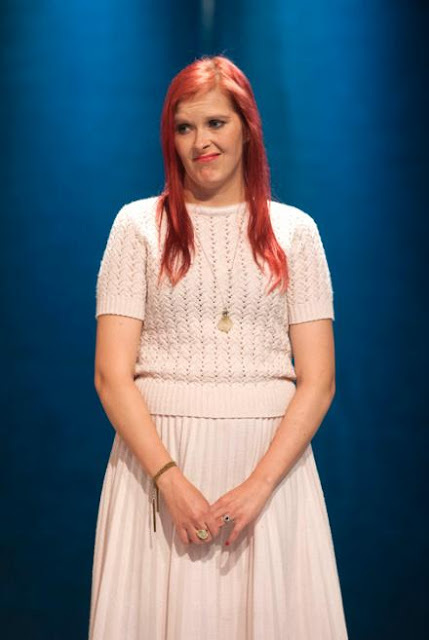 2 Responses to "PROJECT RUNWAY.....Project Runway Season 12 Recaps, Episode 8"
I'm really feeling for Nastassia. She seems to be consistently paired with designers who don't know how to show her to best advantage. I'm surprised she hasn't done a runner yet. Ken should have been removed from the show with his insane behavior/mouth on Helen. Many students are watching this and they need to get the message that behavior ANYWHERE is unacceptable. Obviously the producers want more drama than fashion or compassion.